Inspired Creations. Locally Sourced. Always Delicious. Team Crafty was formed in 2011 as the Craft Service department on the set of That's My Boy. We have since worked on over 25 films and TV shows and have established ourselves as the premier Craft Service in the Northeast. 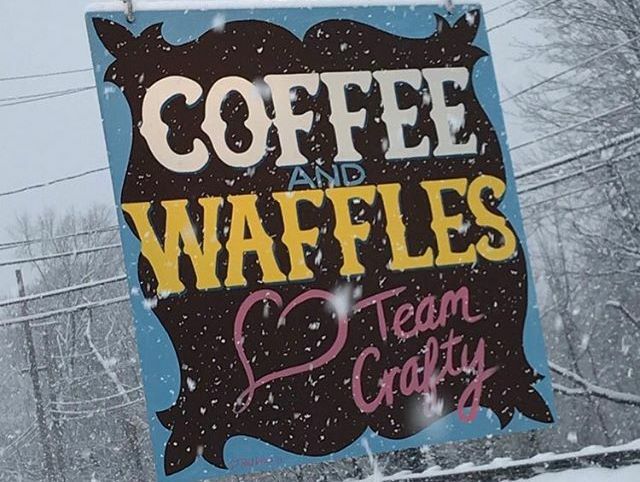 After nearly six years of offering our services exclusively to the Film and Television industry, we were thrilled to open our first pop-up experience, Coffee & Waffles, in Weston, MA. Davey, Cam, and Dane are the owners of Team Crafty. Between them they have over 30 years experience in food and entertainment. They share a love for challenges and exceeding the loftiest of expectations.